Is your computer running slowly? Specific programs running very slowly? Bloat might be to blame. Read on for more information on bloat in Linux, specifically GNOME, and some suggestions on how to solve it. Open Source Security Software: Protect yourself from dangers on the Internet in Windows or Linux! Want to keep your computer safe, but don’t want to pay for it? Try using open source software to keep yourself safe. Here are some basic tips and open source programs for Linux and also for Windows. Ever wanted to listen to Stairway to Heaven backwards? Want to make your own song with something played backwards mixed in? 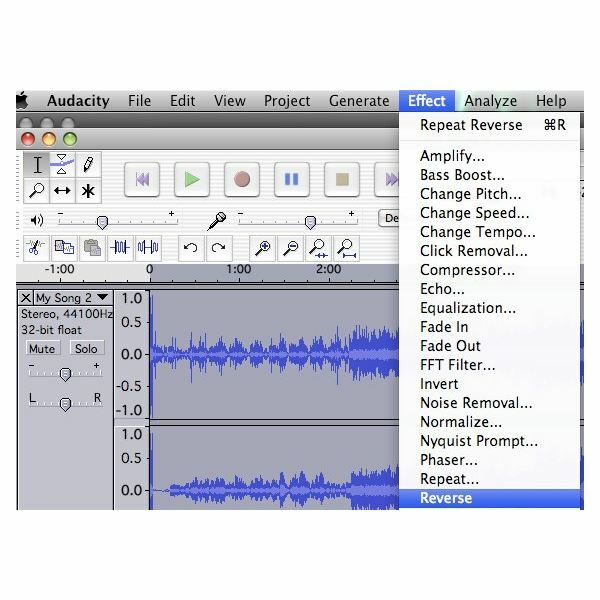 Learn how to get audio from GarageBand, reverse it using the free program Audacity, and then do whatever you want with it! Many of us have large music collections, and sometimes keeping them on an internal hard drive isn’t practical. This article will tell you how to move your iTunes Music Library to an external hard drive or anywhere else that isn’t its default location. Ever wondered if you could use your iPhone’s data plan on your computer? Wanted to SSH into your iPhone or iPod Touch through the USB cable? Find out how to use your iPhone’s USB cable as though it were a network connection to your computer – and all the fun stuff you can do from there.